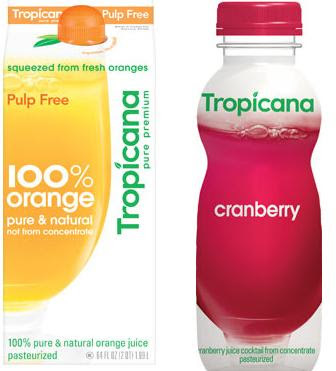 Eat Halal: Tropicana Pure Premium drinks, Orange Juice Halal or Haram? Tropicana Pure Premium drinks, Orange Juice Halal or Haram? Their orange juices containing Omega - 3 contains fish oil and fish gelatin which is permissible for us, alhamdulillah. We'd be delighted to answer your questions about Tropicana Orange Juice. With regards to animal derived ingredients being included, most of Tropicana's juice products are vegetarian/vegan. There are a few juices which contain cochineal/carmine (which will be listed in the ingredients if contained in a product) and Tropicana Healthy Heart Orange Juice containing Omega-3. We began listing carmine, a natural color, several years ago on the ingredient labels of those juices containing this ingredient. Primarily, carmine is used in our non-refrigerated juices. However, Tropicana's packaging is clearly labeled and complies with current government regulations. The source of Omega-3's used in Tropicana Healthy Heart Orange Juice is called MEG-3 (fish oil and fish gelatin). It contains tilapia, sardine and anchovy. We hope this information is helpful, Lazeena. Thank you for your business and interest in our products.